Has Your Toddler Had A Boise Dental Exam? If you have a toddler who hasn’t visited their Boise dentist yet, we invite you to make an appointment with us at Summit Dental Group. Our family dentistry believes that preventative care and education are extremely important to optimal dental health and welcome people of all ages. The best time to make an appointment for your toddler is when their first tooth comes in or by their first birthday. While this may seem a bit early, it is the best way to get them started on a path to lifelong dental health. What Will Happen During Their Boise Dental Appointment? While you may have some anxiety when it comes to your child’s first Boise dental visit, keep in mind that their checkup is usually short and involves very little treatment. Instead, think of it as a friendly meet and greet for your child. In fact, most of the time parents are invited to sit in a nearby chair and hold the hand of their child during their Boise dental examination. You can, however, choose to wait in the reception area so that a relationship can be built between your child and their Boise dentist. Really it’s up to you and your dentist. During the exam, your Boise dentist may or may not have your child’s teeth cleaned but will check all of your child’s teeth for decay while looking for any potential problems and assess the need for fluoride depending on where you live and how much they are exposed too. 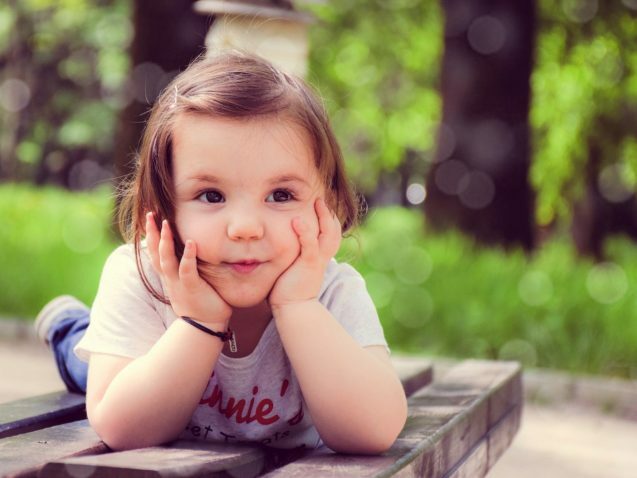 Your Boise dentist will also educate you on how to care for your little one’s teeth and discuss dental development issues as well as answering any questions you may have. After the first visit, your Boise dentist will suggest a schedule of follow-up visits. Typically dentists call for visits every six months depending on the oral health of your child. Drinking juice regularly throughout the day. Parents with significant tooth decay. When you bring your child in, the Boise dentists at Summit Dental will analyze the condition of his or her teeth and identify and potential problems. Even more, it’s just as helpful for a parent to be educated of proper oral hygiene for their child. You can also learn more about some of the preventative services we offer, such as Boise dental sealants that can protect your child from cavities and tooth decay for up to 10 years. Make an appointment with our Boise dentists and bring your questions. Summit Dental Group in Boise provides family dentistry services as well as popular cosmetic dentistry services like teeth whitening and porcelain veneers. Contact us at (208) 345-8962 today! As adults, we all know how important it is to maintain healthy teeth and gums. Too many parents, however, often overlook the importance of teaching their children good oral habits during the toddler years. During these impressionable years, children between the ages of 2-5 learn and develop lifelong habits that will help them throughout their daily lives. That’s why it’s vital they learn how to care for their teeth and gums at an early age. At Summit Dental, we believe preventative care and education are extremely important when it comes to maintaining optimal Boise dental health. That’s why we’ve put together a list of tips for helping your child develop healthy dental habits that will last a lifetime. 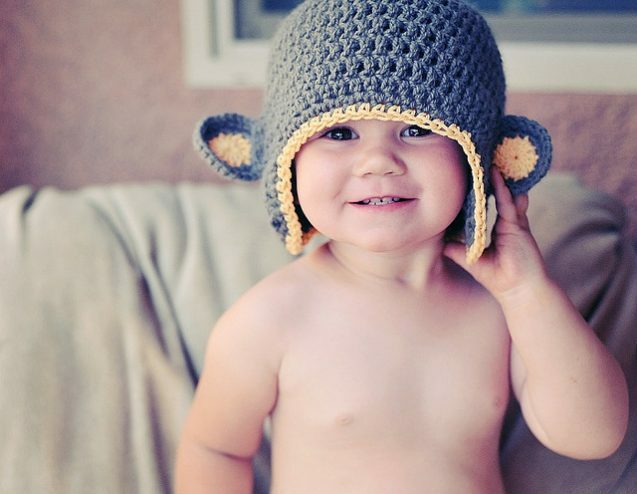 By the age of three, a child will have developed a full set of teeth. While they will eventually lose and replace these teeth with permanent ones, now is the perfect time to teach them good skills and habits. During this age, there are many things you can do to help your child develop good Boise dental habits. Keep in mind that many of these habits go beyond basic brushing and flossing and extend to a healthy diet which not only keeps their teeth and gums healthy but their whole body as well. After eating a meal or a snack it’s important to have your child drink water. Doing so will help rinse away leftover food particles between brushing and flossing. Sugar, as we all know, is bad for our teeth. However, many people don’t realize that you don’t have to eat candy to produce harmful acid that wears down your teeth. Most foods eventually break down into sugar causing it to stick on teeth producing acid and bacteria. Healthy snacks like cheese, on the other hand, help balance the alkalinity in the mouth breaking down harmful acids naturally. With so many varieties to choose from, it’s important to find a toothpaste with a flavor your child likes. This will help encourage them to brush their teeth more frequently. Once they get the hang of it, you will find they will enjoy brushing their teeth on their own. However, it’s important to supervise to make sure they are getting it right and show them what improvements need to be made. *Another fun tip is to get plaque disclosing tablets that color any areas where they forgot to brush their teeth. As they brush away the color, they’ll know exactly how clean their mouth is! 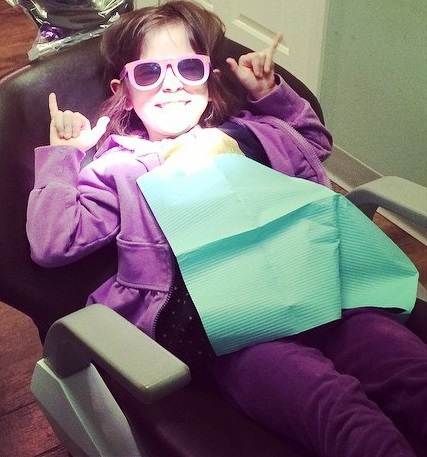 Regular Boise dental visits are just as important for kids as they are for adults. In fact, they may even be more essential. Like we stated before, your child will eventually lose their baby teeth. However, it’s important to make sure that going to the dentist is a fun part of their routine to help prevent any fears they may have associated with the dentist. If you’re ready to start your child off on the right foot and want more information regarding your child’s Boise dental care, call Summit Dental Group at (208) 345-8962 to schedule an appointment today! 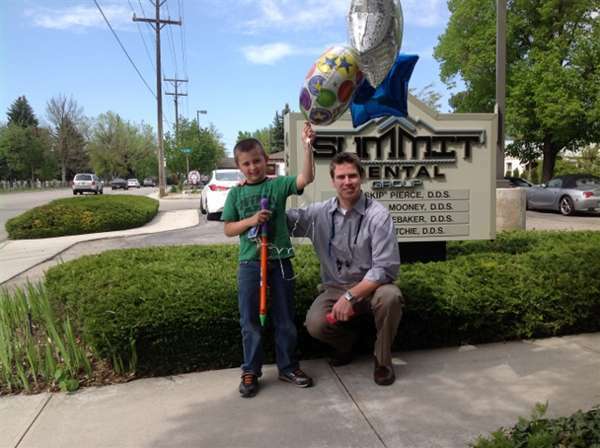 Some children throughout the Treasure Valley enjoy visiting their Boise dentist and look forward to it. Others, not so much. Oral health is very important, but forcing a scared, stressed out child into a dentist chair can be quite a daunting task. As a parent, it’s important to understand that dental anxiety can be quite common in children and it’s nothing to be ashamed of. 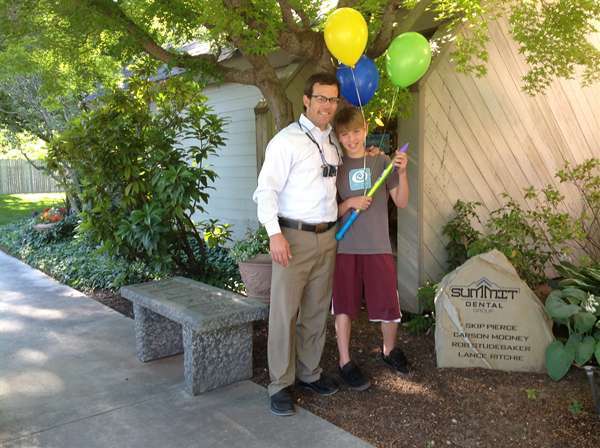 In fact, Summit Dental has plenty of experience working with children that have dental anxiety. 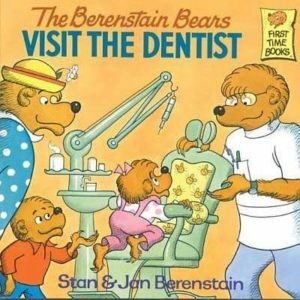 Reading dental story books to your kids is an excellent way to help reduce the fear of visiting their Boise dentist. Through the use of colorful illustrations, easy to understand language and a happy dental experience for the main character, you can help your child develop a better understanding of what to expect at Summit Dental. At Summit Dental, we advise parents to bring their kids in for their first visit as soon as their first tooth appears or no later than their first birthday. Early dental checkups are not only good for their oral health but it helps them become familiar with their Boise dentist at an early age. 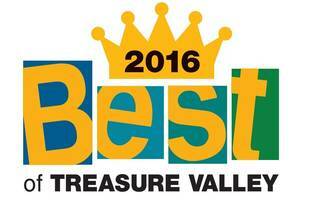 Routine Boise dental visits early in life is a perfect way to help them feel comfortable and build trust with their dentist. It can be very beneficial to practice being a dental patient by playing “dentist” at home. Take turns playing the role of the dentist to check and count each other’s teeth. Practicing on dolls or stuffed animals can also be fun. With a chair, a mirror, and a toothbrush, it’s easy to set up a pretend Boise dental visit at home. Stress and anxiety can increase if you tell your child about a Boise dental appointment at the last minute. Instead, provide them with ample time to mentally prepare themselves for the visit. It can be helpful to tell your child about the upcoming dental appointment in advance, and continually remind them as the date approaches. Teaching your kids the importance of good oral hygiene is a worthy investment in their overall health. Set expectations like brushing twice a day, flossing daily and visiting their Boise dentist on a regular basis. Remind them that the dentists at Summit Dental are friendly doctors for their teeth and that it’s our job to keep their teeth strong and healthy! 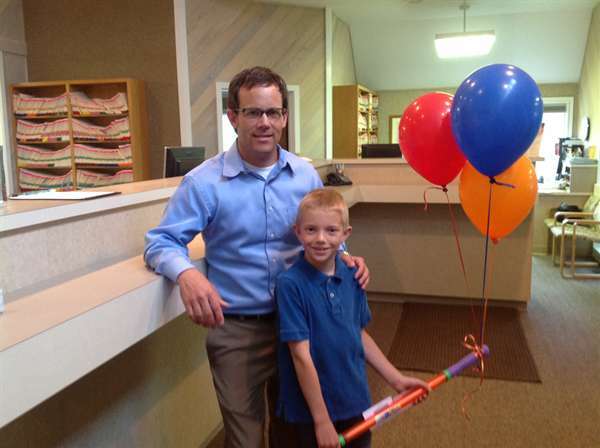 Landon Schweiger is July’s Cavity Free Super Star Winner! 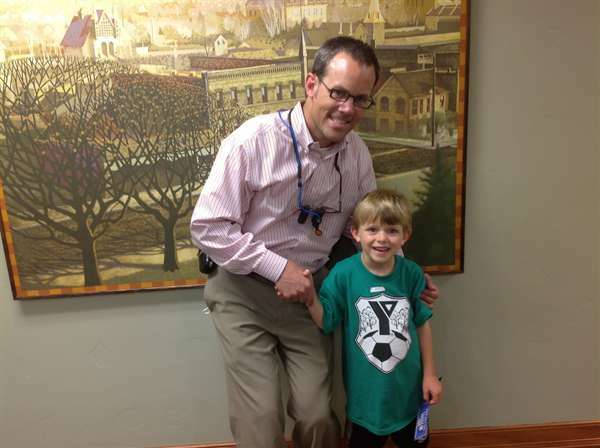 Congratulations to Landon Schweiger for being July’s Cavity Free Super Star Winner! 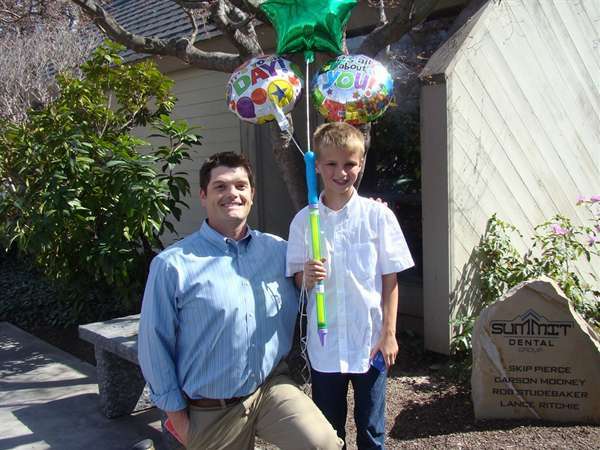 At six years old, Landon kept his teeth healthy and cavity free for his appointment by regular brushing and flossing. Thanks for taking such good care of your teeth and gums, and enjoy your two movie passes, Landon! The Summit Dental Super Star Cavity Free Program was created to show recognition to those special patients who demonstrate excellent home care in between dental visits and therefore have no cavities when they come in for their dental check-up. 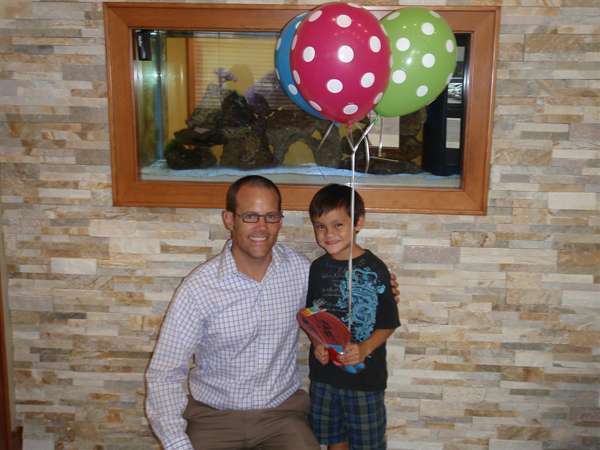 Congratulations to Leo Berliner, Our May Cavity Free Super Star Winner! Leo Berliner is our May Cavity Free Super Star Winner! By regular brushing and flossing at home, Leo didn’t have any cavities at his appointment this month, and so was entered into our monthly drawing. Congratulations, Leo, and enjoy your two movie tickets! Nolan Harasimowicz is our April Cavity Free Super Star Winner! Congratulation to Nolan Harasimowicz for being this month’s Cavity Free Super Star Winner! Nolan was entered into this month’s Super Star drawing by caring so well for his teeth that he didn’t have any cavities at his appointment. Enjoy your two movie tickets and keep taking such good care of your teeth, Nolan!